The STR14 was presented with Kvyat and Albon. Franz Tost, team leader, celebrates the "synergies with Red Bull Technology" that will be seen in the rear. Toro Rosso does not set goals, "at least for now", but Franz Tost, the head of the Italian team, confesses to feel "confident" when he contemplates the STR14 presented today by Red Bull's second team in F1. A car that preserves the decoration of its two predecessors and, like Haas, shows the aerodynamic work that they have had to do in the factory in Faenza to adapt to the rules of 2019. The two ailerons are simpler, especially the forward, compared to the 2018 issue. "Nothing changed in the design, we simply had fewer variables to play with", explains Joddy Egginton, technical director. What Tost highlights is "the quality of synergies with Red Bull Technology ", because the rear wheel of this car will be identical to that of the RB15 that will present the Austrian team next Wednesday. They share Honda engine and also gearbox and rear suspension, so it would not be surprising that the diffuser of the first energetic car also bears many similarities with the Toro Rosso. Aunque the key of this car and the Red Bull is under the housing and, for now, little is He knows about his performance. 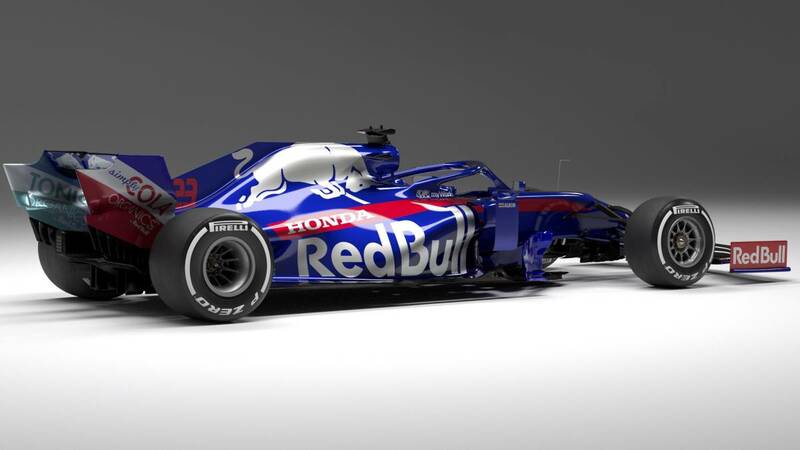 The Honda engine has been attached to the Toro Rosso chassis for a year now and if it showed speed last year, they now want to confirm with reliability. "The objective is to improve 2018 in both teams (Red Bull and Toro Rosso) .That, in the case of Toro Rosso, implies improving the position in the constructors' classification (9th), adding more points, having more reliability and, maybe even Repeat Bahrain 2018 (a quarter of Gasly) or do it better. " That would be a podium, which will be very expensive at 2019.